Ten Vietnamese high school students visit Japan from August 1 to 8 as part of Kyocera Corporation's cultural exchange program. The Kyocera Corporation has organized a second cultural exchange program for Vietnamese students to Japan, in the expectation they will become global citizens and contribute more to society. Ten high school students from Hanoi, Hung Yen, and Hai Phong were selected to visit Japan from August 1 to August 8. The program helped the students gain a deeper understanding of Japanese culture in order to enhance relations between the two countries. The trip included visits to Kyoto, Shiga, and Osaka, where they experienced Japanese culture and the country’s development process by visiting the Osaka Science Museum and the Kyoto Railway Museum. The program was inspired by the Founder and Chairman of the Kyocera Corporation, Mr. Kazuo Inamori, after he was impressed by the differences in culture between Japan and the US in 1976. He then began encouraging young Japanese to explore foreign countries by heading abroad, so they may expand their knowledge, stimulate their curiosity, and develop their own viewpoints and dreams. 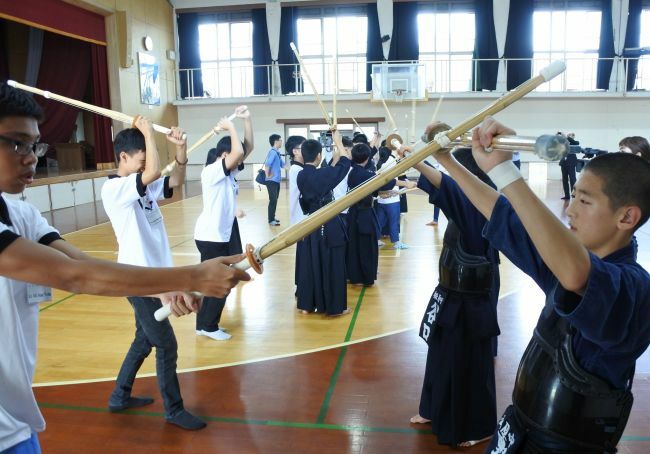 Since 1978, Kyocera has organized cultural exchange programs for 988 students and children. Vietnam is the third country in which the corporation has organized trips, joining the US and China. These countries all have large-scale Kyocera manufacturing hubs. Vietnam has stood out among emerging countries, and starting last year the company invited Vietnamese students to visit Japan as part of their social responsibility. The Kyocera Corporation was established in 1959 to produce high-tech ceramics. By combining the material with metal, which can be integrated with other technology, Kyocera became a leading supplier in cell phone components, electronic components, printers, and solar power generation systems, among others. As at the end of the fiscal year on March 31, 2017, net revenue was $12.7 billion, and the corporation has been named among the Top 100 Global Innovators by Clarivate Analytics.